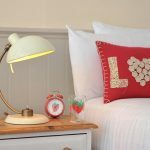 After a successful year with Strawberry Fields they asked us to run SEO and PPC for their sister boutique hotel LimeHouse. The objective was the same, to increase direct bookings so they don’t have to pay commission to accommodation booking sites. Before we started, all their bookings were taken this way. Now over 40% of their bookings come direct. We also recently rebranded and relaunched their website.